100 Blank Redi-Tag Permanent Tabs for book sets Please call office. 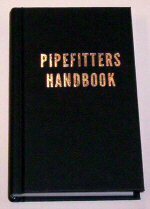 Pipe fitters Handbook - HIGHLIGHTED! !